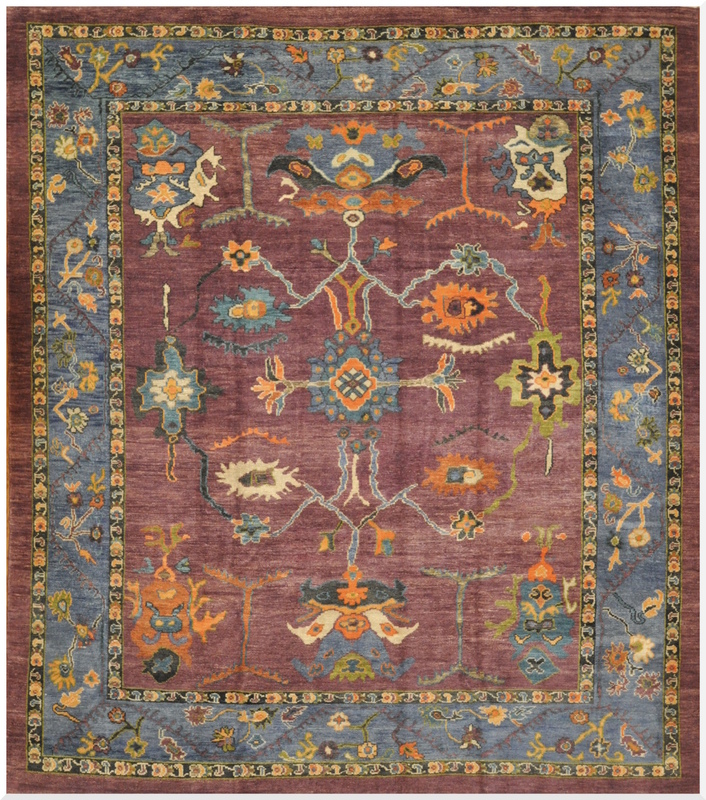 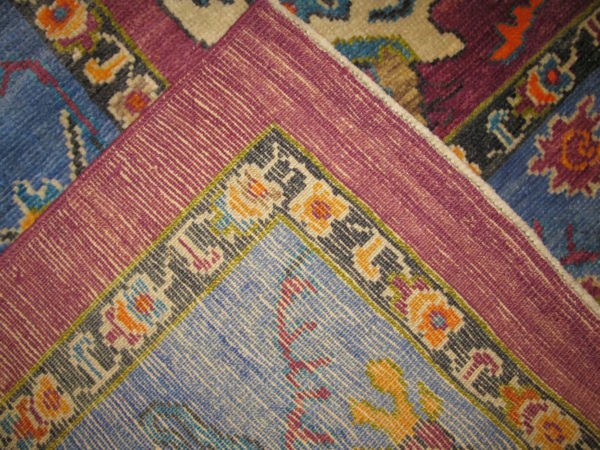 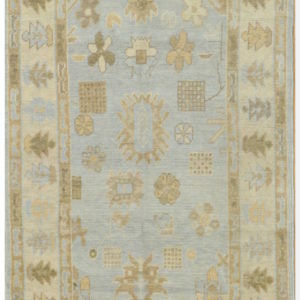 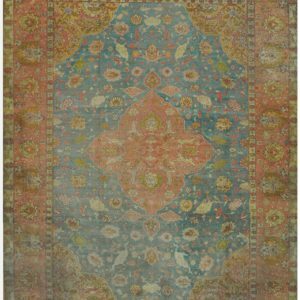 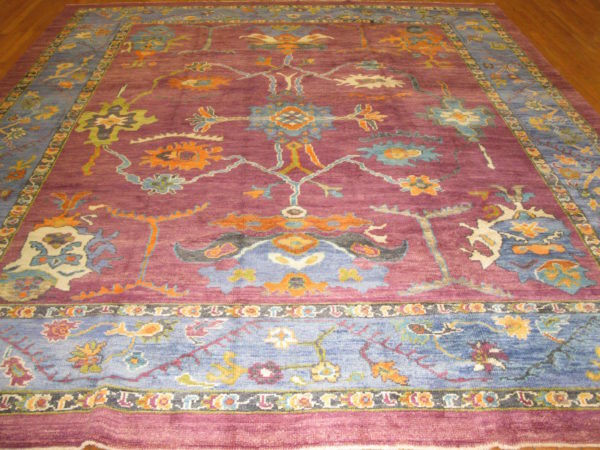 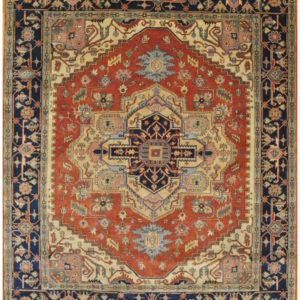 This is a contemporary hand-knotted Oushak rug from Turkey with a rich naturally dyed color combination. 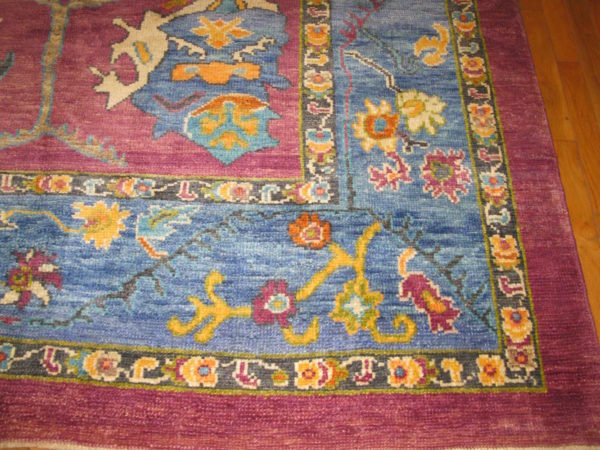 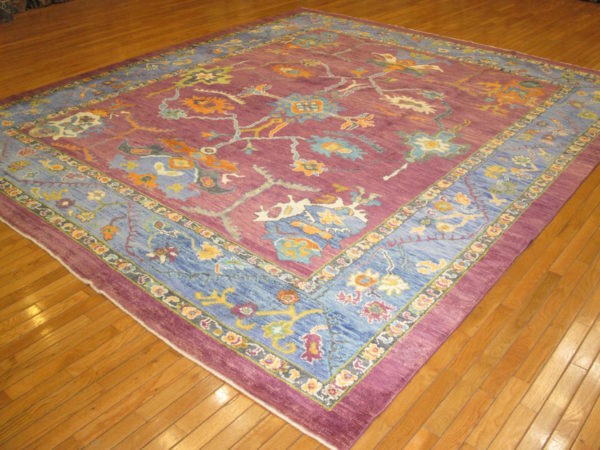 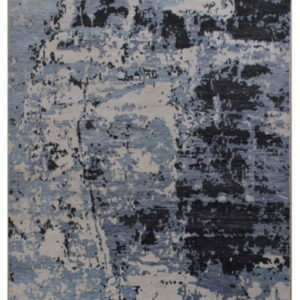 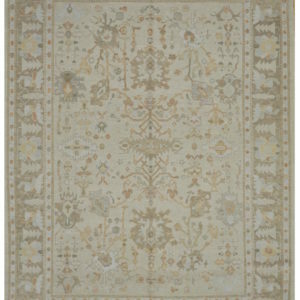 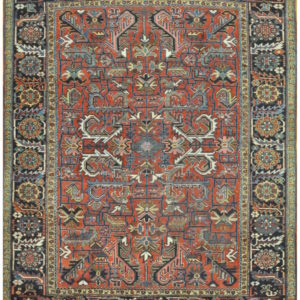 The rug is made with wool and an antique look finish. 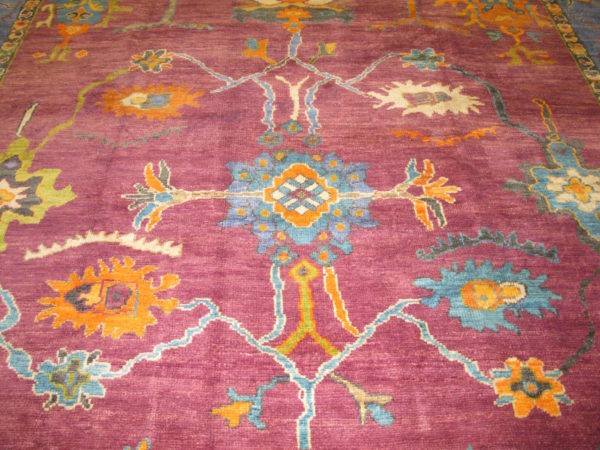 A beautiful and daring color combination.